The death on Sunday, January 15, of a naturalized Canadian citizen of Iraqi origin, Salid Abdulaziz Sahbaz, reveals the extent to which links between organized crime networks in Canada and Mexico have been destabilized by aggressive police work. 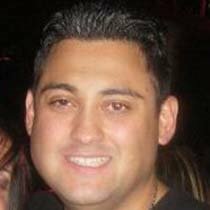 Police sources in British Columbia, Canada, confirmed that Salih Abdulaziz Sahbaz, in his mid thirties, was the key cartel contact for the notorious United Nations Gang, also known as Global United Nations Syndicate (GUNS), which operates out of the city of Vancouver and the surrounding area. 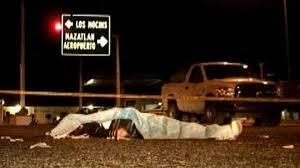 Sahbaz, who had spent much of the past three years in Mexico, was found dead on the street in the Country Alamo area of Culiacan, Sinaloa, around midnight Sunday. He had been shot execution-style by what appeared to be a .45 caliber firearm – police recovered at least 8 empty .45 caliber shells at the scene. Given that Canadian identification and money were found on the body, robbery was not thought to be the motive. Gerardo Vargas Landeros, a Sinaloa state government official, said Sahbaz had both a current and expired Canadian passport on his body when it was found early Monday. Vargas Landeros also said that there was evidence of Sahbaz’s participation in illegal activities, but did not specify. This is a likely scenario given the victim’s background, the style of killing, the lack of robbery as a motive, and the location of the crime – in a dangerous city far from any tourist areas. Police in British Columbia have referred to Sahbaz as a “high-ranking member” of the United Nations Gang who was in direct contact with Mexican cartels. It is believed that he was working off debt after the loss of a cocaine shipment. However, he may have also been cut loose by the UN Gang, and attempting to re-establish himself in Mexico. Sahbaz had been a UN Gang member since at least 2004, when he had been brought in to the organization by the then-leader, Clayton Roueche. Sahbaz was also known to head the “Kurdish Crew”, a semi-autonomous gang that controlled the drug trade in Vancouver’s Downtown Eastside. His time with the UN Gang was not always smooth – he had been kicked out at least once, and may have lost the protection of his benefactor, Mr. Roueche, who is now in jail. The UN Gang is in a tough position. Aggressive and well-coordinated police work in Canada and the United States has fragmented the organization; internal conflicts have decimated the ranks; and attempts to expand abroad have met with repeated failure. Some examples: in late 2009 UN Gang member Adam Kataoka was killed in Argentina (he, too, apparently “lost” a shipment of cocaine); and last November UN Gang soldier Axel Curtis was shot to death in Vancouver. As well, U.S. authorities have put at least a dozen UN Gang drug mules and associates behind bars. The pressure continues: UN Gang members Conor D’Monte and Cory Vallee face murder charges, but have fled justice, and are now on Interpol’s most wanted list. The UN Gang, known for the multi-ethnic backgrounds of its members, recruited a number of Iraqis other than Sahbaz when Clayton Roueche was in charge. The former operational head of the UN gang, for example, was Barzan Tilli-Choli, an Iraqi immigrant accused of conspiracy to commit murder. Tilli-Choli is now awaiting trial in Canada along with five other UN members. The Gang has recently forged links with the Hells Angels, as was indicated by sentencing in absentia of Omid Bayani on December 28, 2011, as the result of an investigation into the notorious biker gang. As well, when Duane Harvey Meyer – a former Hells Angels prospect and UN member – was shot to death on May 8, 2009, members of both gangs attended the funeral. The UN Gang has been active in Mexico, in one form or another, for the past four years – if not longer. The alleged leader of the UN Gang, Clayton Roueche, was arrested on May 19, 2008, during a stop-over in Texas from a flight originating in Mexico City. He was then charged with conspiring to possess cocaine, conspiring to export cocaine, conspiring to import marijuana, and conspiring to launder money. As a result he was sentenced to 30 years in prison. Two months after the arrest of Clayton Roueche on his flight from Mexico City, two UN gang members were shot to death as they ate lunch in the Santa Teresita neighbourhood of Gaudalajara, Mexico. Dead were Elliott Abben Castaneda, age 29, of Abbotsford, British Columbia, and Ahmet "Lou" Kaawach. Mr. Kaawach had immigrated to Canada from Lebanon, but had been extradited back to his home country after Canadian authorities determined his links to organized crime. Mr. Abben Castaneda, nicknamed "Taco", was an immigrant to Canada from Guatemala who grew up in Abbotsford, British Columbia, where the UN Gang originated. After the deaths of Abben Castaneda and Kaawach it is believed that Sahbaz took over the Mexican end of the business, which was a crucial component to the Gang’s business model. Law enforcement officials believe that the Gang exports Canadian marijuana from British Columbia to the American northwest, and uses these profits to purchase Mexican cocaine and import it back to the United States and Canada. The cash is then laundered into real-estate in British Columbia’s lower mainland, with land-titles often held in the names of family members. 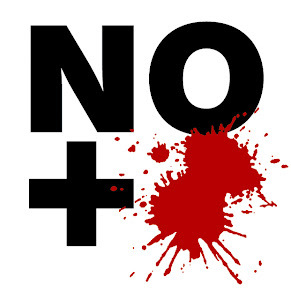 However, it is clear from the deaths of Sahbaz, Abben Castaneda, and Kaawach – all in Mexico – that criminal organizations in Canada simply don’t have the reach to protect their people south of the Rio Grande. This is true even for the organization that some allege is Canada’s biggest player in the drug trade – the Hells Angels. After the UN Gang’s earlier failure in Mexico, it looks like some small-time Hells Angels operatives also met with foul play. 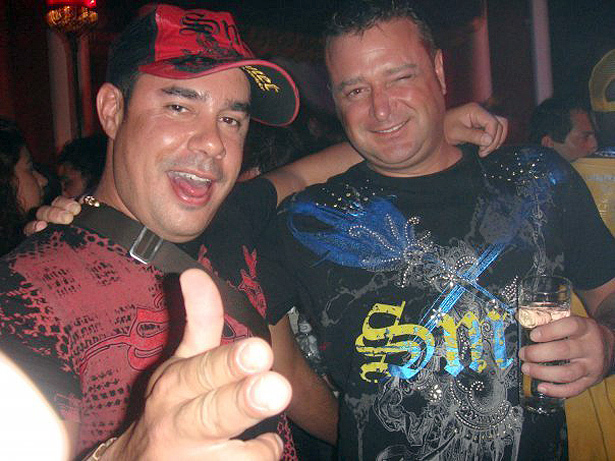 Gordon Douglas Kendall and Jeffrey Ronald Ivans were found shot to death in Puerto Vallarta, on Sept. 27, 2009. According to the Toronto Star, British Columbia RCMP confirmed that the two Canadians had been known to police for "quite some time" as being active in the drug trade. "Both the organized crime team and the gang task force have been aware of these two males for a while," said Sgt. Bill Whalen with the Combined Forces Special Enforcement Unit, said at the time. "We've been aware that these two males have been involved with the drug trade for a while. We've been aware of ... some of their activities recently in Mexico." According to a friend, Ivans moved to Mexico to do excavation and construction work for the Hells Angels. Most likely, both men were acting as lower level contacts with the cartels. Having small-time soldiers act as contacts in Mexico reduces the risk for senior Hells Angels – either from the police, who watch them like a hawk, or from being bumped off by a Mexican gang. Better to stay in Canada and run the business, and let the journeymen take the risk. Kendall and Ivans - in over their heads? At the time, the Hells Angels in Canada claimed that Kendall and Ivans were not members. Friends, however, said that they were extremely agitated and nervous before making the move. Members or not, the two Canadians were certainly in over their heads.